Ms. Day has created an interesting world with action and romance in Atlantis Awakening. Below are a few quote’s that stood out to me. ** Check out my review on Atlantis Awakening! Okay, I love the Van Helsing Reference and I absolutely love your banner! I love my banner too Lorn… ^_^ Thanks for stoping by and check out the Quote’s this Monday. First of all, your banner is fabulous! I spent a good ten minutes just looking it over to find all the little hidden gems 🙂 Secondly, your quotes totally sold me on this book. I love any book that manages to incorporate cheeky humor with a side of sass, lol. Thank you for introducing me to something new. Well thank you Michelle. I love my banner too. It has so many hidden things and total represent me in my bookish ways. I am so happy to here I helped a fellow reader out in discover a new book/author. ^_^ YA! Thank you for stoping in. I love to here from fellow readers/bloggers. Heh, I really like that second one. I’ve never read Day before. Hi Bea, Oh I hope you get a chance to try out Day. 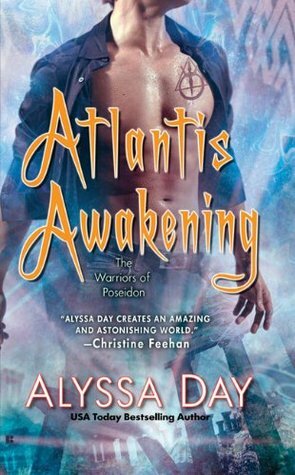 I’ve only read Atlantis’s Rising and Atlantis Awakening plus Alejandro’s Sorceress http://angelsguiltypleasures.com/2014/06/review-alejandros-sorceress-alyssa-day/ which was part of a Box Set, but can be found single title now. 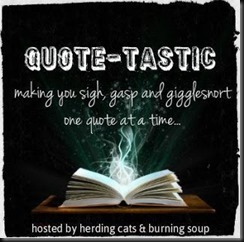 Oooh, I love the first quote you shared! That Dracula wannabes line totally made me giggle. Too funny! Atlantis Awakening wasn’t originally on my wishlist, but I’m now second guessing myself after reading those snippets. Off to check out your review before I make my final decision! I was laugh when I read that line. This one had a little more humor to it then the first book. I was glad I checked out the 2nd. I will be continuing the series now that things are developing. I usually have a hard time with first books in series, they never end up being what I want, unless its so bad I’ll give the second a try. Thank you for stoping by and sharing. Hope you enjoy the review!